How does the process of culture influence democratic participation and social fairness? Declaration of Independence, by John Trumbull (1819), oil on canvas. Much of the early public discourse aimed at mobilizing political support for independence and particular aspects of constitutional organization of legislative representation and executive and judicial power was philosophical and legal in form, emphasizing logical deduction from first premises. We usually take it for granted that concepts of democracy and justice are so overarching–so encompassing over the structure and maintenance of social order–that they have an independent, fixed, objective definition. This is certainly a practical narrative. As long as things are OK for most citizens of those societies institutionally defined and overtly committed to democracy and rule of law, the notion that our access to legislative, executive, and judicial decision-making is fundamentally fair … well, it’s quite convenient to confuse fundamental political fairness with the experience of not being treated unreasonably unfairly in daily life. In other words, notions of social fairness and justice have a tendency to take an unmarked symbolic form in relation to the markedness of unfairness and injustice. The succinct, iconic narrative that the system is basically–or at least sufficiently–fair … this is easy for us to tell ourselves, easy to think. It diverts our attention from pervasive instances in which local, regional, or national governing institutions–with claims to sovereign powers over their jurisdictions–actually abuse their power and unfairly harm civilian individuals or groups. It diverts our attention from the ways in which governing institutions unfairly ignore or flaunt legal protections and democratic accountability. Such abuse of power often afflicts others, to widely varying degrees. 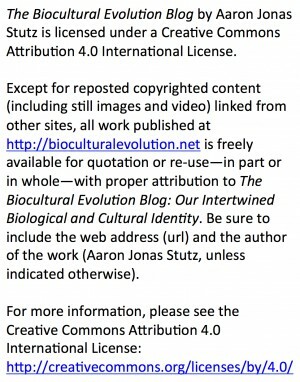 But as long as we are not afflicted, experiencing disruptive oppression that is based on abuse of sovereign power, we can utilize what may be called the narrative of sufficient fairness as a cultural myth that filters out the intensely marked narrative–with all of its disruptive implications–that the system is not really fair enough. Of course, such symbolically structured thought and discourse shapes political attitudes and action–or lack of action–in societies that identify clearly as democratic and those that don’t. What is important is the cultural form that local versions of the narrative of sufficient fairness takes. What metaphors, what logical hypothetical rationalizations, what contrasts, what greater moral or cosmological principles are evoked and invoked, in the discourse that practically negotiates a cultural situation where enough individuals and their social networks succeed in holding onto the disposition that the system of rule is indeed sufficiently fair? 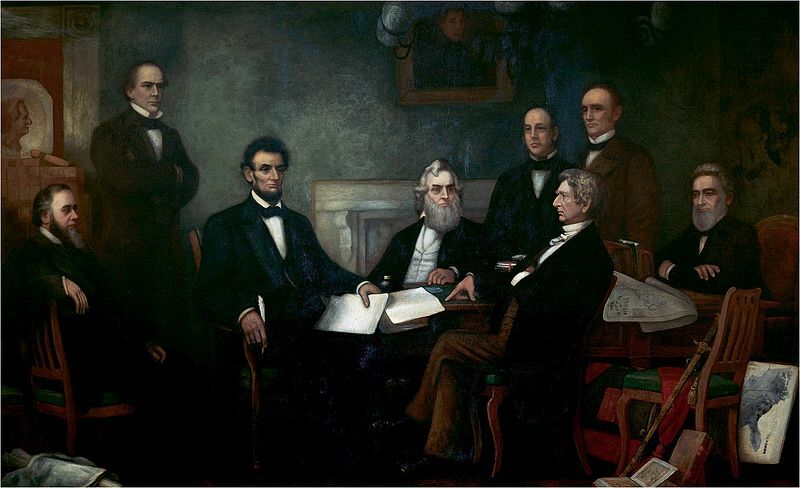 First Reading of the Emancipation Proclamation of President Lincoln, by Francis Bicknell Carpenter, 1864, oil on canvas. In contrast to the predominantly legal, logical, and lengthily discursive form of public political rhetoric from early American national leaders concerning the nature of power, democracy, and accountability, things were different by Lincoln’s time. Although stylistically remarkable in its lasting ability to move the reader or listener, the Gettysburg Address (November 1963) reveals the turmoil–the emotional and physical violence and their reverberations–that erupted with the American Civil War, which whipsawed opposing social and symbolic positions over for whom sovereign rule should be fair and just. In the United States’ recent history, the narrative of sufficient fairness subtly but strongly shaped how the presidential electoral crisis in November and December 2000 was resolved. My current undergraduates would have been too young to have been really shaken by what those events. Their parents would have been much more concerned about what was unfolding at that time. It was unclear immediately after election night on November 7, 2000, who would eventually gain a majority of the popular vote in Florida. And the Florida vote count would determine who had a majority of the electors–that is, members of the constitutionally defined Electoral College–committed to either Al Gore, Jr., or George W. Bush. For more than a month following election day, there was a tense, unclear and unsettling period when the Gore and Bush campaigns–along with various Florida county canvassing boards, the Florida state legislature, and the Florida elections supervisor–engaged in a series of legal maneuvers to end, extend, or expand the recount from Palm Beach County to the entire state Florida. It all ended, though, when the US Supreme Court narrowly decided that the US Code’s election certification deadline had to be met (Title 3 US Code, Chapter 1, Sections 5 and 7). Indeed, the SCOTUS decision supporting George W. Bush’s petition for a stay of the Florida Supreme Court’s statewide manual recount order was delivered on December 12, 2000. And December 12, 2000 corresponded to the final date, according to the US Code, that electors for the Electoral College could be certified. The Bush campaign succeeded in running out the clock on Gore. The upshot in principle was this. The potential security risks of not having a timely transition of presidential power were seen as outweighing the costs of thoroughly ensuring–as accurately and fairly as possible–that all valid ballots would be counted. Implicit in this concise story is a comparison with disorderly, less robustly established democratic nations. To be sure, the electoral situation in Florida was genuinely ambiguous, especially in November and December of 2000. And to be sure, the legal situation was also ambiguous. Would the opinions of the SCOTUS justices ultimately tip toward symbolically valorizing Order or undergirding Fairness? Given that variations of the “man on the street” sufficient fairness narrative were often presented, not only in American but also international media, it appears that the intricate, complex media and opinion-building discourse favored Order as the path toward getting back to everyday routine, rather than devoting greater attention and working harder at achieving democratic fairness. Arguably, I would expect, if it had happened that Gore had come out slightly ahead in Palm Beach County on November 8, 2000, a different slight majority of the SCOTUS would have knocked down the inevitable petition for a stay of the ongoing recount. And culturally, Americans would have favored Ensuring Order over Protecting Fairness. The Gettysburg Battlefield today. Gettysburg, Pennsylvania. I have been recently thinking about the ambiguous relationship between legal logic and emotionally charged narratives that do much more to evoke the markedness of unfairness and disorder. In a course I am currently teaching–Introduction to Archaeology, of all things–I have sought to challenge students to reconsider what archaeology is. One way I have done this is to introduce them to how philosophers have used the term archaeology, from Husserl’s phenomenology to Foucault’s “archaeology of knowledge.” Especially through Michel Foucault’s writings (digested in limited doses, of course), students can quickly glean the connection between his archaeological-metaphor-turned-formal-terminology and how “dirt archaeologists” interpret material traces of the past. Comparison and analysis of discrete, concrete layers of material traces of past human discourse (which is inevitably embedded in culturally structured and structuring social practices–whether they are studied in the form of historically connected written documents or patterns of potsherds, organic stains from postholes and storage pits, hearths, and burials in sedimentary deposits) can yield insight into the associations of things and symbols that shape and constrain our thoughts, bodily dispositions, and actions. In fact, I would argue that a good archaeologist can do more with a less complete, distorted “archive” than a historical philosopher can with only written documents. OK. I know this may be a gratuitous but largely irrelevant claim. The issue to emphasize is that, whatever discomfort or disdain scientific archaeologists and Continental philosophers might have for eachother, they actually have much more in common methodologically and conceptually than they’ve likely admitted. It’s all about interrogating material traces–our source materials–as we interpret, test, and refine those interpretations about … patterns of association among things and symbols. Now, in order to give students a sense of what Foucault did in his analyses of historical documents–setting up the opportunity for comparison with what archaeologists do in investigating patterns of association among sites, artifacts, and features–I presented them with some key written documents sampled from American history, comprising part of what Foucault would call the objective archive of what people in the past said and did. And among the documents I chose were the Declaration of Independence and the “standard” Everett copy of the Gettysburg Address. The students were rather surprised just how great the differences were in rhetorical tone and structure. Of course, the purposes of the two documents could hardly have been more different. The Declaration of Independence was a signed unilateral demand to end the British Crown’s sovereignty over their North American colonies. As such, it had a legal form, emphasizing a logical deductive argument from first premises about individual rights and equality. Let’s set aside for now obvious, serious issues about unstated, unquestioned premises–held by the writer and signers of the Declaration back in the day–about who was really created equal. We’ll return to the importance of what is not said, what is omitted from the cultural archive. Let’s focus, instead, on what we can learn from the comparison of the Declaration with another, even more concise document that has become equally treasured as a national icon of why–in Americans’ cosmological, culturally embedded claims for sovereign existence–it is so widely held that America is indeed exceptional. Lincoln wrote and gave his address at Gettysburg, November 1863, as a eulogy for the fallen soldiers, especially the Union soldiers. He gave the address, participating in a ceremony to dedicate the Union military cemetery at that had been built only months following what would turn out to be one of the bloodiest battles in a very bloody civil war. As a eulogy to the fallen, Lincoln’s speech does not surprise us. 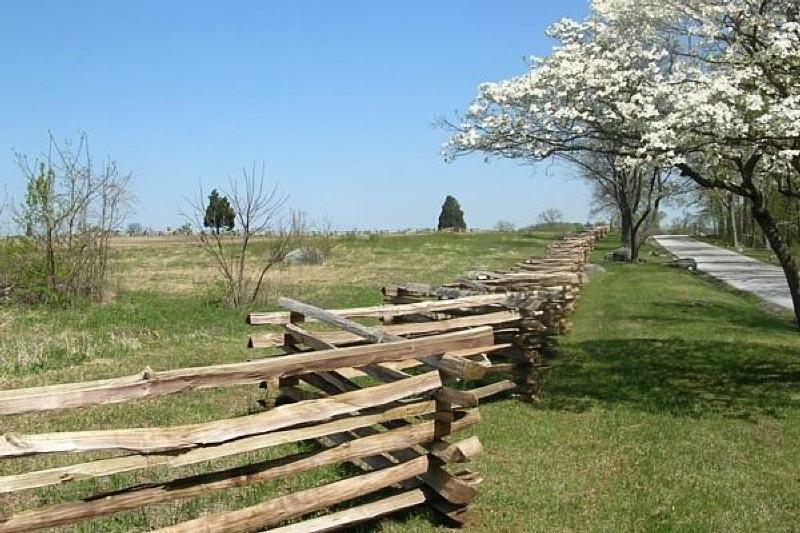 As the Union civilian commander in chief, President Lincoln had to praise and justify the deaths of soldiers under his command–soldiers who were fighting to keep the Confederacy of southern states from establishing a separate sovereign nation. Thus, what Lincoln says is that the dedication of the Union military cemetery at Gettysburg is better understood as a dedication to continuing the work that the fallen soldiers had sacrificed their own lives to carry out. And according to Lincoln, what they were struggling to carry out, at the real risk of death, was to give the United States “a new birth of freedom,” and preserve democratic rule. At the beginning of 1863, months before the Battle of Gettysburg took place, Lincoln had already issued what remains simply the most famous US Presidential executive order, the Emancipation Proclamation. The reference to freedom’s rebirth points our attention to the Emancipation Proclamation. Lincoln makes this allusion especially elegantly. As he had opened his address with reference to the Declaration of Independence–signed “four score and seven years ago” and establishing a commitment to democratic government, specifically as a logical implication of equality among men–Lincoln was clearly underscoring that a main purpose of the Union’s cause was to broaden the recognition of the liberty that should be granted to all men, regardless of race. But Lincoln’s conclusion muddies the elegance of this focused cause. And it reveals how Lincoln, as a powerful sovereign leader, was working carefully to persuade Union citizens to maintain their commitment to the war effort, especially at a time when the outcome was sure to involve greater casualties, possible Confederate independence, and perhaps even possible Confederate annexation of Northern territory. … we here highly resolve that these dead shall not have died in vain; that this nation shall have a new birth of freedom; and that this government of the people, by the people, for the people, shall not perish from the earth. Again alluding to the Declaration of Independence, in which Thomas Jefferson wrote that the inalienable rights of life, liberty, and pursuit of happiness are endowed by the Creator, Lincoln obliquely indicates that national unity and the abolition of slavery would better jointly serve to achieve on earth the realization of inalienable inalienable rights divinely granted. In immediate historical context, Lincoln’s rhetorical strategy is entirely understandable. Indeed, it is impressive. He used fine rhetorical tools to rally support for what is basically the inverse of the narrative of sufficient fairness. He is arguing to Union officers, soldiers, and citizens that they cannot allow the markedly unfair, unjust state they’re in to continue. He is arguing that sacrifices have already been made and must continue to be made, in order to make society more fair and just. But in the final version of the Gettysburg address, Lincoln combines the reference to the premise that liberty and individual protection from oppression is a God-given right together with a statement that we may be on the verge of destroying this very God-given right for ourselves once and for all. He signals to his listeners that the current situation is so extraordinarily unfair and unjust, that to give up now would simply be intolerable. To be sure, without such rhetorical effectiveness and politically expert leadership, the Union may have eventually lost the Civil War. Or abolition of slavery and eventual integration and civil rights reforms may have been even more delayed. But although we can sympathize with Lincoln’s difficult position as a wartime leader–in a terrible civil war, no less–it must nevertheless be recognized that Lincoln eventually chose–explicitly chose–to frame his call for support for the continued war effort in terms of hyperbole and cosmological order. Perhaps he was correct that this would be the only effective way to sway support, through the emotional effects of his words. But he unintentionally set up a situation where the fight for fairness and justice would by and large be associated with the historically extraordinary circumstances that precipitated the Civil War. In the years following Reconstruction, even to the present day, Americans have many symbolic tools that help to rationalize the transformation of “society’s not really fair but ok for us” into “society’s sufficiently fair.” This makes it a lot harder to mobilize needed efforts for changing society in a meaningful but much less dramatic way. Because, of course, we remember much better what Lincoln said at Gettysburg. Perhaps we should recognize that there are other ways of making meaningful sacrifices–or rather, compromises–to improve the fairness of society than giving our lives in a war effort cast as a defense of divinely sanctioned order.